In India, a GEF-funded, ADB-implemented project is expanding the market for LED domestic lighting and street lighting, while providing the expertise necessary to pilot new technologies like energy-efficient ceiling fans. How many people does it take to change a light bulb? So begins the old joke, but the more serious question for India’s Energy Efficiency Services Ltd was how many people need to switch to energy-efficient light bulbs in order to reduce the nation’s carbon footprint? India‘s population of over 1.3 billion makes it the second largest nation in the world, so reducing the country’s greenhouse gas emissions is a sizeable challenge. As part of its commitments under the UN Framework Convention on Climate Change, India plans to reduce its carbon footprint by 33-35 per cent from its 2005 levels by 2030. And with the energy sector responsible for over 70 per cent of the nation’s emissions, energy efficiency is crucial to the Government of India’s green ambitions. A lower energy bill amounts to a light at the end of the tunnel for Mamta, whose husband has struggled to find steady work and had to rely on casual labour for an income. “The price of the bulbs is lower and they help us reduce our electricity bills. We used to get a 500 rupee energy bill and now it’s 350 rupees – saving 150-200 rupees a month,” she says happily. This additional money is now directed towards their dream of helping their daughters become financially independent, educated adults in later life. But why have families like the Bairwas only just started using energy-saving light bulbs? Previously, the cost of LED bulbs was prohibitive at 400 rupees each. With support from the Global Environment Facility, Energy Efficiency Services Ltd were able to leverage the power of demand aggregation, buying the bulbs in large quantities and reducing the cost for consumers to only 70 rupees per bulb – making LEDs even cheaper than the less-efficient compact fluorescent bulbs (as well as greener and more cost-effective). The knock-on effect at industry level has been substantial. Recognizing a growing market, manufacturers have increased LED production, bringing down prices even further. Before Energy Efficiency Services Ltd entered the market four years ago, LED bulbs represented just 10-15 per cent of Indian lighting. Today, LEDs have taken poll position in the market – cornering 75 per cent of sales, against just 15 per cent for compact fluorescent bulbs. 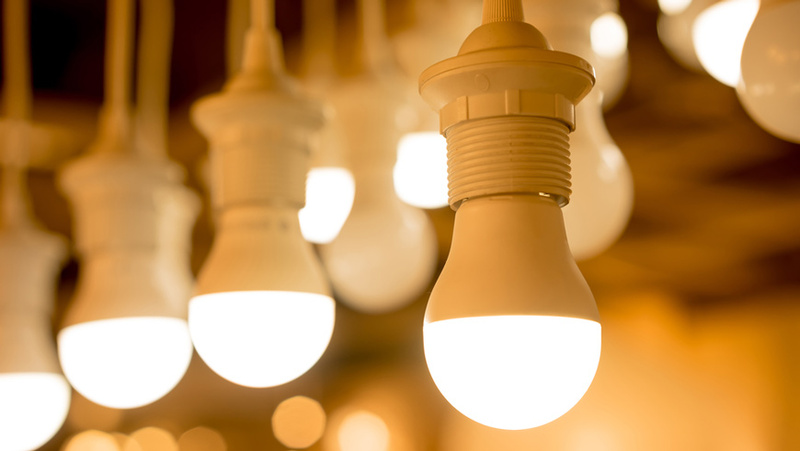 So far, Energy Efficiency Services Ltd have distributed over 300 million LED bulbs, with the aim of replacing 770 million compact fluorescent bulbs in total by March 2019. But the Creating and Sustaining Markets for Energy Efficiency project is also reaching far beyond domestic lighting. By developing viable business models and fronting capital to prove their value, the project is strengthening markets for many other game-changing energy-efficient technologies. The revolving fund is set to include street lighting, five-star-rated ceiling fans, agricultural pumps, smart grids and tri-generation systems. Overall, the project aims to bring about direct energy savings of 38.3 million gigajoules by 2022 and 137.5 million gigajoules by 2032 – equivalent to 23.3 million barrels of oil, reducing India’s carbon footprint by 60 million tons of CO² equivalent. Another element of the partnership to spark illuminating results is the Street Light National Programme, launched in January 2015. Energy Efficiency Services Ltd have replaced conventional street lighting with automated LED alternatives in 24 of India’s 29 states, and three of its seven Union Territories. While the costs of this refitting have been covered by Energy Efficiency Services Ltd, the savings each municipality reaps from decreased energy consumption and reduced need for maintenance will be used to repay the investment over time. So far, 6.35 million LED streetlights have been installed, along with automatic systems to control them. These are an improvement on the manual controls previously used, which had greater potential for energy wastage. The new lighting is not only brighter, making the streets safer for women walking at night, but it is also saving over four billion kWH per year, amounting to a potential reduction of almost three million tonnes in in CO² emissions. In a country which celebrates light each year with the joyful Diwali festival, it is fitting that efficient lighting systems are becoming more affordable and accessible. By covering the initial cost of energy-efficient technologies and reducing the risks involved in proving their commercial viability, the project looks set to continue its success in making such products affordable and marketable for businesses. To learn more about the Creating and Sustaining Markets for Energy Efficiency project and UN Environment’s work in Climate Change Mitigation, contact Ruth Zugman Do Coutto.